I have come across many people who were “lured” into buying crystals by their teachers; who quite often give them one sided information about their magical healing properties. They subsequently find out that the crystals not only did not work the way they expected, but at times even created a negative impact! Crystal Therapy is Not a Magical Fix. Many people expect that once energized, the crystals would bring about drastic changes in their life by improving their health or whatever solution they are seeking. Remember, crystals CANNOT be a fix-all solution. 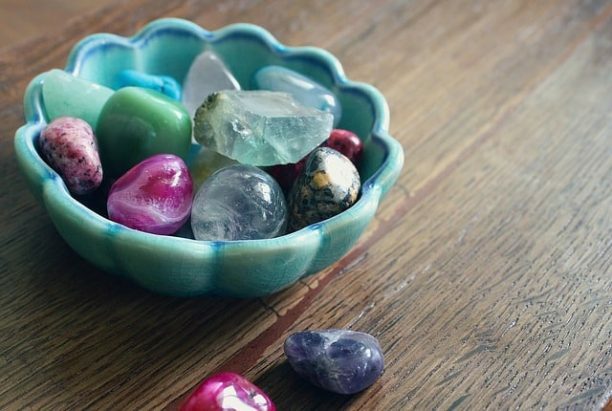 Do not expect overnight miracles and dramatic results by simply putting on ring or a pendant or placing a few colored stones in your water jug overnight. Crystals work “with” you, and not “for” you. You have to be worthy of that crystal and for this you must look within and see how your approach to life is. For example of you have relationship issues at home or work cannot expect crystals to drastically change people around you. The crystals will work only when you have the courage to look “within” and try to change yourself or your outlook. Your changed behavior (e.g. being more tolerant, forgiving, resilient, self confident, etc) and outlook will then bring about changes in others. The crystal will then work “FOR” you. Therefore, remember the sequence- it starts with positive changes WITHIN YOU. Are you ready to accept your own faults or bring about changes in yourself? If not, is better not to spend time and money because it’s “not working” will further bring negativity instead of positivity in you. It is not a remote control which you can use lying on the couch! I will give you a rather simplistic example here which is very relevant. A pregnant woman is naturally interested in ensuring a healthy delivery. So she does an instant “certified crystal healer” course and learns all about how magical powers of crystals from the glib talk and how it will benefit her would be child. She is also made to buy a whole list of gemstones, as recommended by her “knowledgeable” teacher who asks her to put some in her medicine bag, wear one a pendant, wear a crystal bag around the tummy, or place them in a water jug overnight before drinking the next morning. So now that she has the crystal magic going, should she stop taking prenatal vitamins? And because she has that magical necklace hanging in front of her belly, can she eat whatever she wants? And maybe indulge in a little alcohol, now and then? How wrong would that be! Crystals are to be used to magnify your hard work and intention and NOT as a substitute. Therefore, a pregnant lady will definitely achieve better results if she laid emphasis on being less stressed by do regular breathing exercises, meditating, being tolerant and overlooking others faults, eating healthy food, etc. This would make her more “in synch” with the energy of the crystals and would get her magnified benefits from them. Many students get back to me with “Sir, I have done third level Usui Reiki and have also done courses in Karuna Reiki, Panic healing, Shamanic healing, acupressure, advanced crystal healing, etc, etc but I don’t feel any change around me. So I tell them, decide upon any one thing and practice it well. Remember, there is nothing that you can do with crystals alone and yet there nothing you can’t do without them either! They are merely the tools that can help you in magnifying whatever you practice.